This weekend, four McGill riders survived about 20 hours of driving to race the Nittany Classic near State College, PA. Included: a very hilly and difficult road race, and a technical 6-corner criterium. Saturday’s road race brought cloudy skies and temperatures warm enough all our riders were peeling off arm warmers on the start line. The course featured two laps of a 32-km loop, starting with a fast descent and including two category 4 climbs before a 7-km category 2 climb up to a finishing plateau, totalling about 750m climbing a lap. We had representation at the GP Le Nordet near St-Donat, QC yesterday. It was a challenging course with three category 4 climbs and one category 3 over 60 kilometres and the Juniors (grouped with Senior 3) driving a high pace, but Antonio, Jordan, and Noah all successfully finished their first FQSC race. 3 wins, 5 podiums, 10 top-10’s…not too shabby. 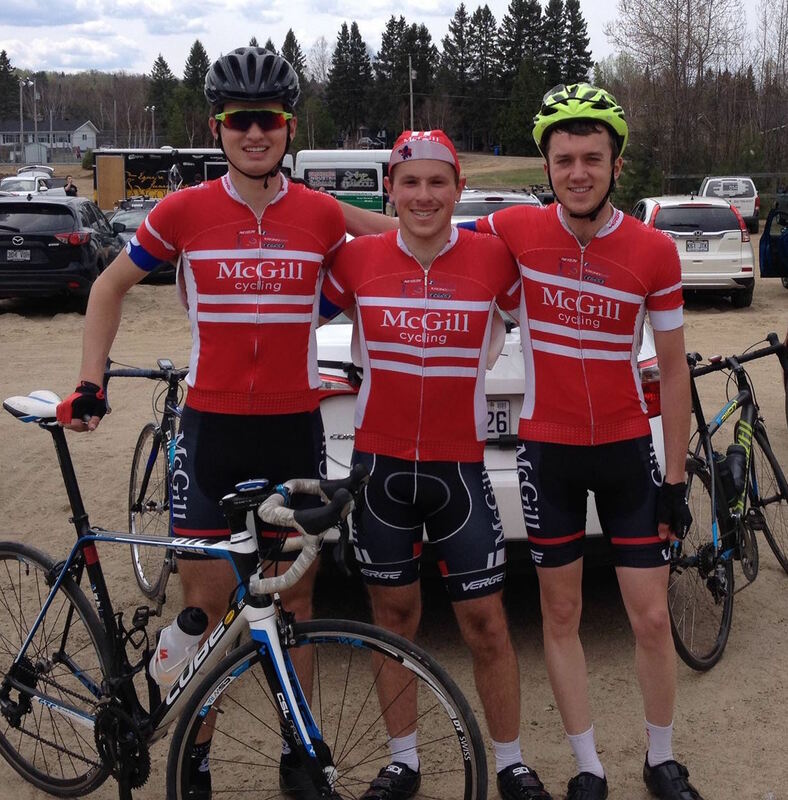 McGill Cycling finished off the collegiate season with style at the Army Spring Cycling Classic. The weekend brought the most beautiful weather of the season, as well as the most comfortable living situations—the riders were graciously hosted by West Point faculty members on and near the campus. ECCC#1: New York Metro Showdown! This weekend fifteen McGill racers (and one intrepid Concordia cyclist) made the long voyage down to just outside of New York City (or Massachusetts, if you’re Emma answering the border guard). Excitement ran high, as it was everybody’s first race weekend of the year, and the first races EVER for nine MCTers. Saturday brought clear skies and short sleeves for the Rutgers Campus Criterium, a 30-60 minute race around a short fast circuit with killer pavement and an uphill drag. Many of our members record their rides on Strava. It's a great resource for finding routes and keeping up with everyone.